Welcome to CSTMS. Visiting Scholars and Visiting Student Researchers are a vital part of the life of the Center, providing a continual source of new ideas and integrating with our active community events. The Center hosts several visiting scholars and students each year and maintains a lively collaboration with centers abroad. See our current visitors. We seek visitors who will actively engage with our Center activities and resources. This includes being an active member in one of our working groups, attending our Colloquium Series, and contributing to our conferences, workshops, and social events. Visiting scholars and students are given desk space at one of the tables in the Office’s reading room in 470 Stephens Hall. 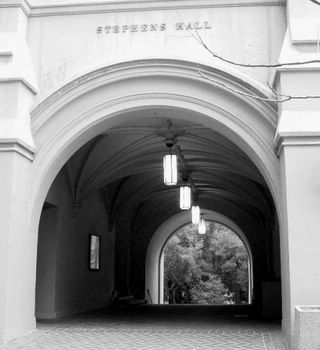 Also available is the use of the University’s extensive library system, a computer account, and access to most Berkeley campus facilities. A more complete description of resources available to visitors is available from the University’s Visiting Scholar and Postdoc Affairs (VSPA) unit. For international visitors: The International Office contains important information about US visa regulations and health insurance requirements for international scholars. It is important that you review and understand these requirements and ascertain that you are able to fulfill them before you begin the process of applying for visiting scholar/student status. The Center for Science, Technology, Medicine, & Society accepts requests for Visiting Scholar status from academics with a Ph.D. or equivalent who have research related to the Center’s areas of interest that require Berkeley resources. Graduate students with projects to be carried out in Berkeley may apply for Visiting Student Researcher status. CSTMS considers applications on a rolling basis. However, applications are typically reviewed twice per year, on February 1st and September 1st. Please note below the timeframes needed to process your application, and ensure you apply with enough time for all steps to be completed before you arrive. CSTMS Application: Complete the CSTMS Visiting Scholar & Student application form, and send it to cstms@berkeley.edu, or post it to the address at the bottom of this page. Please also complete the VSPA Application. University Application: If your request is approved, the Center will direct you in how to fill out the University’s Visiting Scholar/Student application forms. Time frame: Once the University application is complete, we will keep you informed of your pending status. You are encouraged to contact us for any questions or assistance regarding your visiting scholar application.For domestic applicants, paperwork approval takes about three weeks to process after being received. For international applicants, the approval process can take up to three months because much of the visa information must be processed out of country. You are strongly encouraged to begin the process early. Housing: Visiting scholars must look for housing before they arrive. The Bay Area is a competitive and difficult housing market, so make your arrangements well in advance of your arrival date. For assistance with housing in the local area, we recommend using Craigslist or the Cal Rentals Office. Short term visitors are also encouraged to look on Airbnb. International Students may be interested in the residential services provided at International House. After arrival: As soon as possible after you arrive in Berkeley, stop by the CSTMS office at 543 Stephens Hall to get a full tour. We will give you a set of keys. The Center is usually open between 9:30 am and 4:00 pm weekdays. You may call first: +1 (510) 642-4581.